At the ripe old age of one, Maks Chapa is an accomplished fundraiser for Migrant Offshore Aid Station (MOAS) – a cause that has earned passionate grassroots and media support for the dislocated families it serves. Maks’s parents, Olga and Gerardo, who are running his fundraising project on global fundraising platform GivenGain, say they felt they had to do something to relieve the plight of migrants coming into mainland Europe. “Literally anyone can and should fundraise for their favourite charity, wherever they are and wherever the charity operates,” says Marius Maré of GivenGain. Maré explains that, unlike many other fundraising platforms, GivenGain is global, allowing charities to raise money for any cause, anywhere in the world. 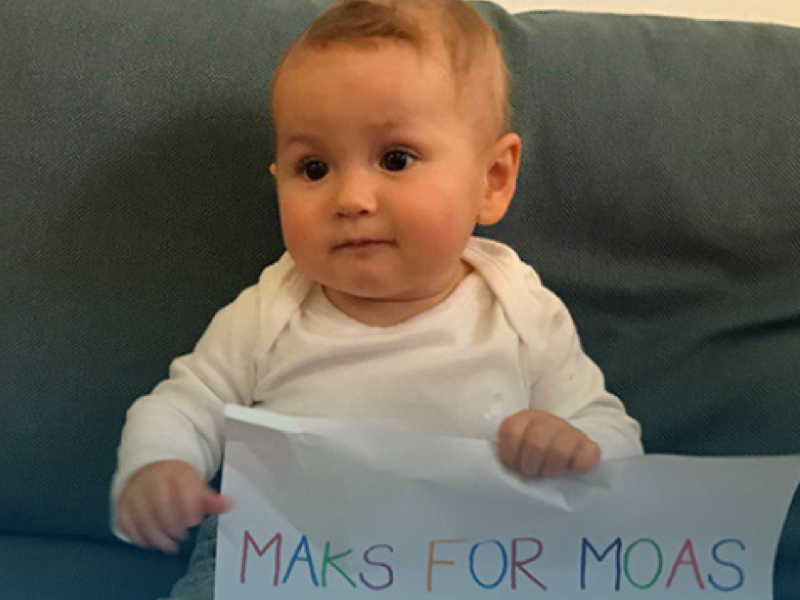 Maks’s project has closed, but his heart is wide open and we suspect this isn’t the last MOAS and other causes have seen of this little big man. If Maks can do it, so can you! Start a GivenGain fundraising project today.